Rep. George Till (D-Jericho) argues for raising the legal smoking age from 18 to 21. 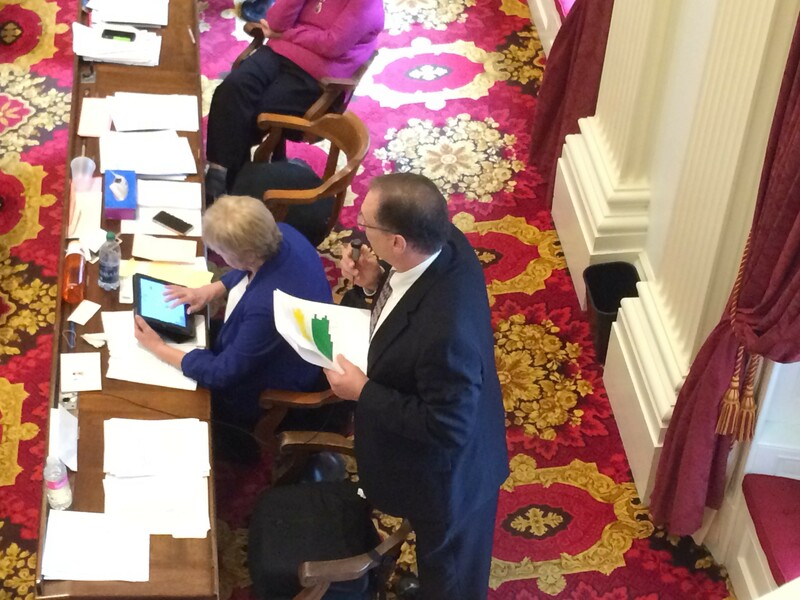 The House voted 84-61 Tuesday to give preliminary approval to a bill that would raise Vermont’s legal smoking age from 18 to 21. The change would be phased in over three years, beginning next January. To make up for the loss in tax revenue from tobacco sales, the bill calls for a 13-cent increase in the tax on cigarettes in each of the next three years. A single 13-cent tax hike would raise about $900,000. The House spent much of Tuesday on this measure. The first vote, to add the tax to the age-change bill, was close: 75 to 68. Critics argued the bill was another excuse to raise taxes. “This is not a health bill, but just another tax and anti-business bill,” Rep. Ron Hubert (R-Milton) said, explaining his no vote. Rep. Carolyn Branagan (R-Georgia) is vice chair of the House Ways and Means Committee, which recommended the tax to offset the reduced revenues. She argued that the higher legal age and the tax increase would make Vermonters healthier. “Reducing the number of young people who smoke will lower health care spending,” she said. Before taking the final vote of the day on the bill, the House agreed to Rep. Kurt Wright’s (R-Burlington) proposal to raise the fine for underage people who try to deceive retailers. Wright called the current $25 penalty for this violation “a slap on the wrist.” He said that $200 would be a better deterrent — and the House agreed, 136-9. Rep. Mike Mrowicki (D-Putney) acknowledged that dilemma, but argued that the military doesn’t want to encourage smoking. Helm’s amendment failed in a 70-72 vote. The House is expected to give the measure final approval Wednesday. Its fate in the Senate, however, is uncertain. It is arriving there long after the date when House bills were due.